Cops love cheap field drug tests because they're cheap and as likely to generate "probable cause" for an arrest/search as their much more expensive drug dogs. No law enforcement agency has ever expressed concerns about these fields tests returning false positives at an alarming rate. They just book people and send them before a judge based on a $2 test that can find anything from drywall powder to doughnut crumbs to be controlled substances. This void in accountability has occasionally been filled by prosecutors, a few of which will not offer or accept plea deals based on nothing more than a field test. According to Fincher's complaint [PDF], she was stopped for a supposed window tint violation by Monroe County deputies Allen Henderson and Cody Maples. Ultimately, the deputies decided the tint on her windows was lawful. But that obviously wasn't the real reason for the stop. The deputies wanted to search the vehicle. According to their report [PDF] of the incident, consent was given by both the driver and Fincher, who was the passenger in the vehicle. 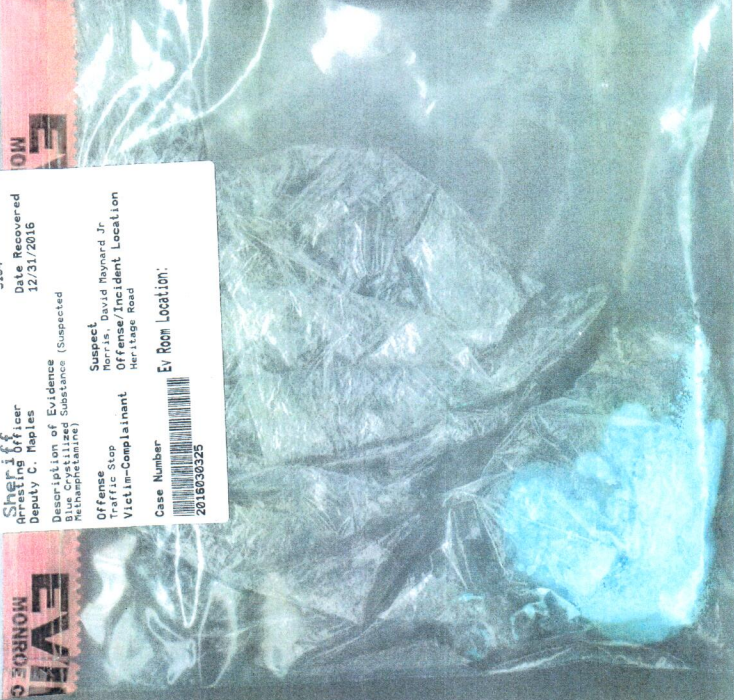 Deputy Williams found a "blue crystal like substance" in a bag on the floor. Both the driver and Fincher told the deputy it was cotton candy. The deputies tested it with a field kit, which conveniently confirmed their suspicions. Based on the packaging and its crystal like feature, Corporal Williams tested the substance using a field kit for Methamphetamine and MDMA. The field kit gave a positive reading. Fincher was charged with drug trafficking, a felony that comes with mandatory minimum sentences and hefty fines. Since the drug hadn't been tested at a lab yet, the deputy's guesswork on its weight put Fincher in line for a minimum ten year prison sentence and a fine of $100,000. Bail was set at $1 million, so Fincher had no choice but to remain in jail until the substance was tested by the state's drug lab. When those results came back, Fincher was cleared. Not only that, but the amount recorded by the lab (26 grams) fell short of the 28 grams needed to charge Fincher with trafficking. But by the time Fincher's innocence was proven, a tremendous amount of damage had been done. Fincher spent three months in jail, missing the birth of her twin grandsons and being unable to help when her daughter suffered a miscarriage. Her charges were dropped April 18, 2017, 109 days after she was arrested. The felony arrest remains on her record. The lawsuit argues the deputies operated in bad faith, knowing high bail would be set and Fincher would remain in jail until the substance was tested by a lab. She argues they should have known the field tests routinely generated false positives. And there's evidence to back that claim. This report, broadcast last month by a Fox affiliate in Georgia, shows the Georgia Bureau of Investigation's (GBI) crime lab has reversed dozens of field drug test results. The FOX 5 I-Team obtained every negative drug test report from the GBI Crime Lab in 2017, then researched to find out how many of those cases began with a positive NIK test. We confirmed 145 false positives, wrongly implicating Georgians of all races in all parts of our state. The field tests got it wrong 11 times for heroin, 24 times for ecstasy, 40 times for cocaine and 64 times for methamphetamines. In each case, someone's life was upended. Georgia's drug laws are harsh and bail amounts are unaffordable for all but the most wealthy. About the only positive resulting from this examination is the Georgia Tech University's police force deciding they'd no longer use field tests. Across the rest of the state, this option hasn't even been considered by law enforcement agencies utilizing the NIK tests. It may take a lot of lawsuits like this one to push law enforcement agencies to consider quality over quantity. Judges need to be made aware of these problems as well, since they're the ones who can reduce bail, allow releases pending trial, and shut down guilty pleas predicated on tests that are wrong far too often to be considered reliable. I've never seen meth so maybe it is exactly like cotton candy... but seriously, who picks up cotton candy and has any questions about what it is?